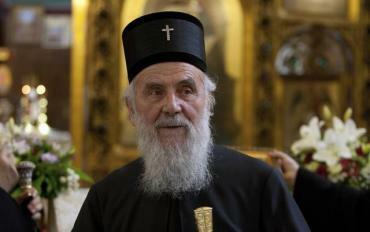 BELGRADE — Serbian Patriarch Irinej says the Serbian Orthodox Church (SPC) “will joyfully accept the talks with non-canonical Macedonian Orthodox Church (MPC)”. However, he specified in a statement for Tanjug on Monday, this will be possible “only in line with canons and previous agreements”. The most important agreement was signed in Niš in 2002. “It is our wish to hold talks, but only in line with canons, which must be observed, and earlier agreements,” the Patriarch said. The presidents of Serbia and Macedonia, Tomislav Nikolić and Gjorge Ivanov respectively, stated on Friday that the dispute between the SPC and the MPC should be resolved through a dialogue, and added that they, as presidents of these two countries, are there to help the process be successful. Nikolić and Ivanov agreed that many things, primarily the issue of churches, depended on good relations between the two countries. Patriarch Irinej, who was at the time the bishop of Niš, hosted a meeting in Niš on May 17, 2002, and was one of the signatories of the agreement on establishment of the Autonomous Archbishopric of Ohrid, and overcoming the schism between the canonical SPC and the unrecognized MPC. 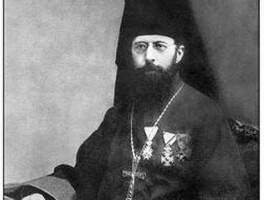 The agreement implied recognition of the broadest church autonomy of the eparchies in the Republic of Macedonia, while in return the Archbishopric of Ohrid was to keep the symbols of the SPC, and the election of the head of the Macedonian church was to be confirmed by the SPC Patriarch. The draft agreement was accepted by five out of seven Macedonian bishops. However, on May 28 they dismissed the importance of the agreement they had signed in Niš, and told the Macedonian public that this was only a working document, which has no binding character. The only one who subsequently accepted and signed the Niš agreement was Metropolitan of Veles and Vardar Valley John, who was appointed head of the Autonomous Archbishopric of Ohrid at a session of the SPC Synod in May, 2003, which according to the SPC canon is still in force. 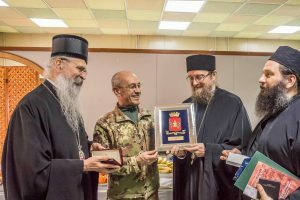 The non-canonical MPC unilaterally declared its autocephaly in the summer of 1967, and it is chaired by Bishop Stephen, who has not been recognized by the SPC.